Whether your child is destined to be the first person to put up a v18 or just enjoys the simple pleasures of their natural climbing instinct, the Brava is for them. The EVA-cushioned midsole lets kids wear the shoe all day with comfort. Wide open, single flap hook and loop closure design for easy on-and-off. Adjustable heel strap will keep them comfortable even as they outgrow their normal shoes. Please size up 2-3 sizes from your child's normal street shoe size. 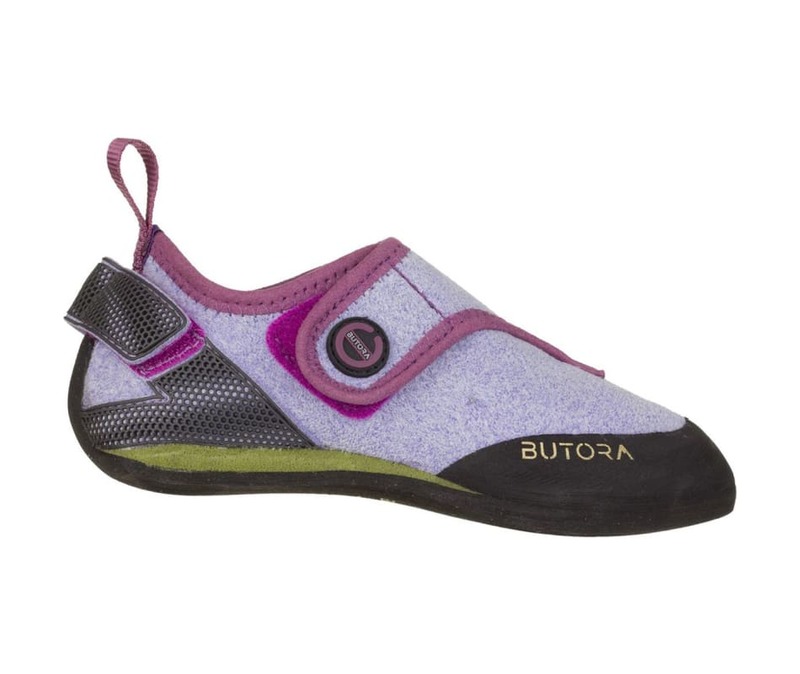 Butora's climbing shoes run a bit small but are adjustable, so sizing up two sizes insures the shoes last a bit longer and are comfortable for your special little one!